Fourteen staff will be promoted to professor and 19 to associate professor from January 1. 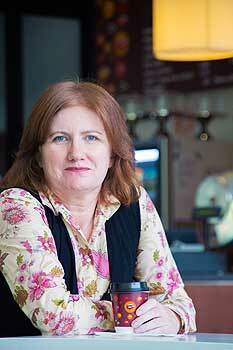 Associate Professor Fiona Alpass from the School of Psychology in the College of Humanities and Social Sciences. Based in Manawatū, Dr Alpass has extensive experience in conducting surveys and in-depth research projects in psychology, with a focus on ageing. She was involved in establishing the university's Health and Ageing Research Team in 2004, which won the university Team Research Medal last year and has been accepted as a member of the International Association of Gerontology and Geriatrics’, Global Ageing Research Network. Dr Alpass co-led the team’s first major project, the $650,000 Health, Work and Retirement Study funded by the Health Research Council from 2006-08. In 2008, she received funding of $3.75 million from the Foundation for Research Science and Technology to extend the scope of the retirement study. This project became the New Zealand Study of Ageing, a longitudinal study of the health of older adults. Last year she, along with Professor Chris Stephens from the psychology school, was awarded $688,000 by the Ministry of Business, Innovation and Employment to undertake the Independence, Contribution and Connection Study. She has been an adviser to the World Health Organisation, is a member of the Asia-Pacific Population Research in Ageing Network, and is a founding member of the Australia/New Zealand Ageing Research Consortium. Associate Professor John Cockrem from the Institute of Veterinary, Animal and Biomedical Sciences in the College of Sciences. 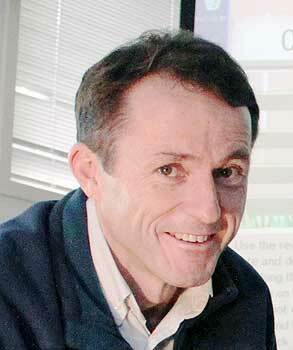 Based at Manawatū, Dr Cockrem is an avian endocrinologist and stress physiologist, and head of Comparative Physiology and Anatomy. 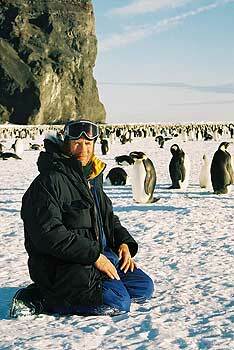 His research considers responses of animals, especially birds, to changes in their environment. His stress research programme extends from fundamental studies to the development of practical methods to measure stress in endangered species and in production animals. He has studied the endangered kakapo and North Island brown kiwi in New Zealand, emperor and Adelie penguins in Antarctica, Houbara bustards in Saudi Arabia, cane toads in Australia and ground frogs in Fiji. Current research includes studies of stress hormones in little penguins, yellow-eyed penguins and Fiordland crested penguins in the South Island, and the development of methods to measure stress hormones in saliva from reptiles. His research includes work with marine mammals, with collaborative studies of stress hormones in elephant seals and dolphins in California. 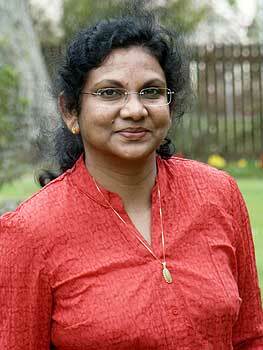 Associate Professor Rukmani Gounder from the School of Economics and Finance in the College of Business. Based in Manawatū, Dr Gounder has conducted research for more than18 years in the areas of economic and social development with an applied economics framework in Asia-Pacific nations. Her recent focus includes Fiji, Indonesia, Papua New Guinea, Niue, Tonga and the Solomon Islands. She has held fellowships that include Smuts Visiting Research Fellow of Cambridge University, Visiting Fellow of the Australian National University, and won a Massey University Research Fellowship in 2007 to study economic development issues in the Pacific with particular emphasis on economic growth (or lack of it) in small states. She has chaired the Pasifika@Massey Whenua Research Network since 2007 and is the college representative in the management group of Massey’s Pacific Research and Policy Centre. Associate Professor Benoit Guieysse from the School of Engineering and Advanced Technology in the College of Sciences. 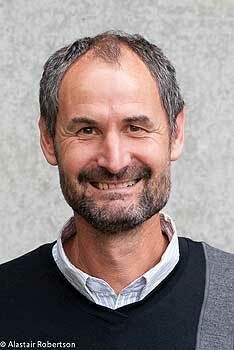 Based in Manawatū, Dr Guieysse has conducted research that bridges environmental microbiology (the study of microorganisms and microbial communities used in environmental engineering) and environmental biotechnology (the design, modelling and scale-up of environmental bioprocesses). His current research aims to determine the environmental impacts of wastewater biological treatment and bio-energy production, with special emphasis on algae-based bioprocesses. 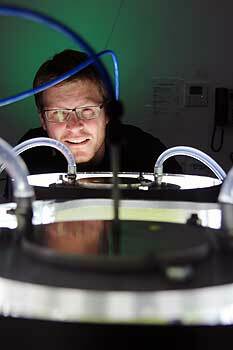 In 2011, he received a $775,000 Marsden Fund grant to investigate the pathway of nitrous oxide synthesis by microalgae and its consequences for the algae industry. 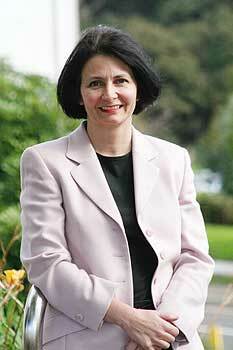 Associate Professor Annette Huntington is the head of the School of Nursing in the College of Health. Based in Wellington, Dr Huntington has conducted internationally recognised research into nursing, particularly the nursing workforce. Last year she was made a Member of the New Zealand Order of Merit in the New Year's Honours for services to nursing research. She is New Zealand director of both the Nurses and Midwives e-Cohort Study, and the Graduate Nurses Study, in collaboration with Australia, Canada, Ireland and the United Kingdom. She holds two honorary positions as research consultant at the University of Queensland and Colonel in the Royal New Zealand Nursing Corps. 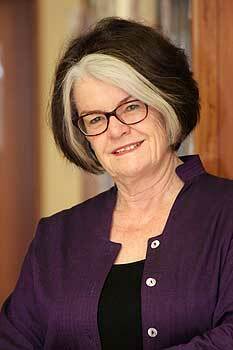 She has been actively involved in the development and implementation of national policies for nursing innovations and education and is a former chair of the Nursing Council of New Zealand. She is on the editorial boards of several international journals, is a College of Nurses Aotearoa New Zealand Fellow and Executive member of the Council of Deans of Nursing and Midwifery, Australia and New Zealand. Associate Professor Peter Lineham from the School of Humanities in the College of Humanities and Social Sciences. 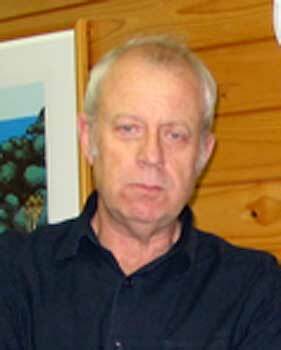 Based at Albany, Dr Lineham has written and lectured extensively on the religious history of New Zealand for many years. His earliest work focused on the 18th and 19th century history of British Protestant sects as well as 19th century adjustment of religion within New Zealand. In August his book Destiny: The Life and Times of a Self-Made Apostle was published and received national media attention online, in print, radio and television. His major books include There we found Brethren, No Ordinary Union, Bible and Society, and Transplanted Christianity. Dr Lineham's research interests include New Zealand’s religious history and current trends in contemporary religion. 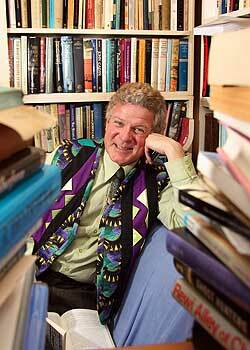 He has written extensively on the link between culture, welfare, sport and religion and published many articles. He is a consultant and speaker on religion, church, culture and society. He is frequently interviewed by news media on issues relating to the history and current situation of religion in New Zealand and is a frequent public speaker on interpreting religious trends both in New Zealand and overseas. A former head of the School of Social and Cultural Studies, he currently chairs the Board of the College of Humanities and Social Sciences, sits on the university's Academic Board, chairs the University Library Committee, is a member of the Doctoral Committee, Heritage Committee and Innovation Advisory Group. Last year he served on the humanities panel in the Performance-Based Research Fund process. He has also served various roles in the New Zealand Historical Association and the New Zealand Journal of History and the Religious History Association of Aotearoa New Zealand. Associate Professor Nicolas Lopez-Villalobos from the Institute of Veterinary, Animal and Biomedical Sciences in the College of Sciences. Based at Manawatū, Dr Lopez-Villalobos leads dairy cattle breeding and systems modelling. His research has focused on the design of selection and crossbreeding schemes, animal genetic evaluation and the development of animal, farm and industry models. With five PhD students he is currently developing sheep breeding programmes that include genomic selection, design of breeding programmes for dairy goat farmers, genetic evaluation of cows under once-a-day milking, genetic evaluation for milking speed, genetic evaluation for lactose yield and genetic segregation of cows producing high concentration of unsaturated fatty acids. He has published widely internationally. 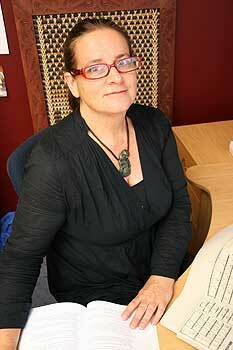 Associate Professor Helen Moewaka Barnes is the director of the Whāriki Research Centre in the College of Health. Based in Auckland, Dr Barnes (Te Kapotai hapu, Ngā Puhi) is a multidisciplinary Māori social scientist with expertise in quantitative and qualitative methods of evaluation. She is co-director of the SHORE and Whāriki Research Centre, located in Symonds St, and is a founding and current executive member of the Māori Association of Social Scientists. Her research interests and expertise includes Māori health, Māori methods and methodologies, privilege and racism, research ethics and tikanga (protocols), community engagement and building Māori research capacity. In June she received Health Research Council funding of $666,299 to investigate elements of Māori health identity to better target health messages. Last year she received an $850,000 Marsden Fund grant to investigate the significance of Anzac Day and Waitangi Day as markers of national identity. Associate Professor Mandy Morgan is head of the School of Psychology in the College of Humanities and Social Sciences. Based in Manawatū, Dr Morgan has research interests in feminist psychology, discourse analysis, domestic violence, narrative psychology and qualitative research methods. She is the president of the International Society of Theoretical Psychology. 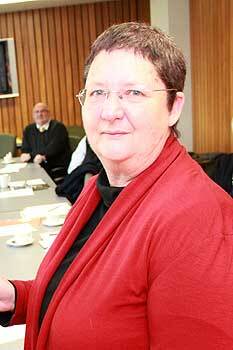 She was a principal researcher of a three-year study of a group of children who lived in Auckland’s Centrepoint Community from 1977-2000. The study, published in 2010, revealed the extent of abuse and its ongoing effects on them as adults. The research received national news media coverage. She is principal researcher for the Domestic Violence Interventions and Services Research Programme, which involves critical discursive research on the ways in which service and intervention providers and users understand their experiences. Associate Professor Hugh Morton from the School of Sport and Exercise in the College of Health. Based at Manawatū, Dr Morton is a graduate of Rhodes University in South Africa, the University of Wales, the University of Cambridge and Massey University. His awards include a Foundation Fellowship at Sydney University, a Fulbright Fellowship at the University of Virginia and Visiting Research Fellowships at the University of Evry, Paris. 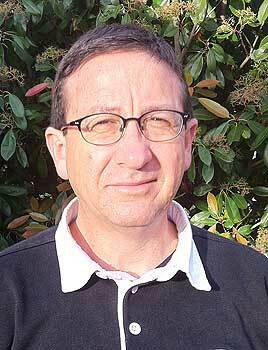 He is an applied biostatistician, with teaching and research expertise in the analysis of sports performance data. He has published more than 100 scientific papers and served as editor of the New Zealand Statistician, the Journal of the Royal Statistical Society and the European Journal of Applied Physiology. He is an associate editor and on the editorial boards of numerous international journals. Research topics include home ground advantage, sports betting, sports statistics, and game measurements across a wide range of sports from cycling, cross country mountain biking, football, netball, rugby and running. He recently completed more than six years on the Massey University Human Ethics Committee, the last two years as chair. 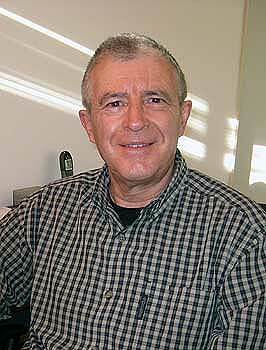 Associate Professor Al Nielson from the New Zealand Institute of Advanced Study in the College of Sciences. Dr Nielson is the head of the chemistry section at the Albany campus and a fellow of the New Zealand Institute of Chemistry and the Royal Society of Chemistry. His research interests are in the field of high-valent early transition metal chemistry, with an emphasis on catalytic reactions leading to polymers and organic compounds. His present research involves using transition metals to transform bulk quantities of carbon dioxide into forms that can either be stored or used as chemical feedstock. Associate Professor Jane Parker from the School of Management in the College of Business. Based at Albany, Dr Parker has conducted research focused on comparative employment relations, equality and diversity developments in workplaces and trade unions, employee consultation, strategic human resource management and labour market analysis. She was senior research fellow at University of Warwick's Industrial Relations Research Unit in and senior lecturer (above the bar) in employment relations and human resource management at the Auckland University of Technology before joining Massey. She has held successful grant applications as a sole applicant, co-applicant or named researcher from the International Labour Organisation, Britain's Department of Trade and Industry/Chartered Institute of Personnel and Development, the European Foundation for the Improvement of Living and Working Conditions, the British Economic and Social Research Council, and several internal grants. Much of her research aims to impact on employment-related policy. She is the secretary of the New Zealand Employment Relations Society and co-director of Massey's People, Organisation, Work and Employment Research hub. She is also an associate fellow of Warwick’s international relations unit and the University of Sydney Union Strategy Research Group, an editorial board member for Employee Relations: The International Journal, was a business and economics panellist for the latest Performance-Based Research Fund round and is a member of Massey's Gender Equity Advisory Group. Associate Professor Murray Potter is from the Institute of Agriculture and Environment in the College of Sciences. Based in Manawatū, Dr Potter is Massey’s leading zoologist, working nationally and internationally to find practicable solutions to human-wildlife conflict. His areas of expertise include conservation biology, reproductive and stress physiology, avian nutrition, avian migration, entomology, kiwi, stoats, Adelie penguins and emperor penguins. His research interests include studies that integrate the ecology, physiology, behaviour and natural history of whole organisms within their natural settings, including how temporal constraints, stress, morphology and nutrition underpin and interact with an animal's behaviour and ecology. In particular he is interested in invertebrate and vertebrate behaviour, physiology, nutrition and conservation, and predator/prey population dynamics. Associate Professor Mark Stevenson from the Institute of Veterinary, Animal and Biomedical Sciences in the College of Sciences. Based in Manawatū, Dr Stevenson is an animal epidemiologist with expertise in research on genetic improvement of dairy cattle using selection and crossbreeding. His research interests include modelling of breeding schemes, farm systems, milk payment systems, experimental designs and data analysis in animal science and processing of dairy projects. Earlier this year he was awarded $US30,000 annually for five years by Japan’s National Institute of Animal Health to investigate technical development for early confinement of disease outbreak in livestock. In January he delivered a workshop on import risk analysis to Food and Agriculture Organisation of the United Nations employees in Nepal.